My practice of psychiatry is traditional, in that I spend a considerable amount of time early in the evaluation phase to learn about you and understand what difficulties you may be experiencing. For adults, an evaluation may be one to three 45-minute sessions. For children, an evaluation may be three to four 45-minute sessions. Session one is with the caregivers only. Session two and three is with the child or adolescent. Session four is with the family. After the initial appointment, I may recommend further sessions to solidify a diagnosis and develop an impression or formulation. This is basically a hypothesis for what I think may be contributing to your symptoms. During the evaluation period, I will typically ask to see if anyone else (i.e. school personnel, therapists, dieticians, primary care physicians, or other family members or providers) has any additional information that may be useful for me to know. Only with your permission, I will communicate with this individual as this can be very useful in understanding the dynamics that may be at play in your life. If further diagnostic information is needed, such as lab results, imaging studies, or neuropsychological or psychoeducational testing, I will provide you with referrals in the community to pursue this testing. I will then discuss with you my current diagnostic considerations, as well as my understanding of the issues. The final part of the evaluation includes a discussion of treatment modalities, and the specific treatments that I recommend. These may include therapy, and which specific modality of therapy that may be useful. It may also include medications that have potential for benefit. Other medical and non-medical treatments may be recommended. Even after an evaluation has been completed, you are still not considered an on-going patient of my practice. Based on my recommendations, the treatment modalities I provide, my and your availability, your choice of treatment modality, and ability to participate in treatment, I may recommend treatment with me or refer you to another provider. If we jointly decide to embark on treatment, only then are you considered a patient in my practice. The treatment modalities I provide include pharmacologic/medication treatments, as well as psychotherapy. This may include principles of cognitive-behavioral therapy, psychodynamic therapy, supportive therapy, and motivational interviewing. In addition, I include play therapy in my work with children. Due to the limited availability of psychiatrists in the community, and even fewer child psychiatrists, my availability for therapy may not always be a possibility. If this is the case, I may refer you to mental health therapists in the community to provide psychotherapy. 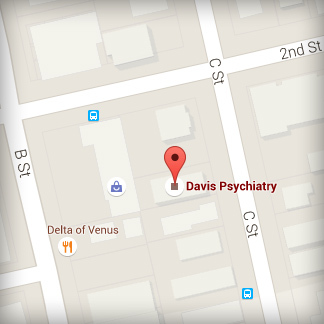 Psychotherapists may include psychologists (Ph.D. or Psy.D. ), social workers (LCSW), or marriage-family therapists (MFT). I will do my best to refer you to therapists with whom I am familiar with their practice, and have a solid reputation in the community. Please note, however, that I do not supervise the care provided by other clinicians. If you will continue treatment with me, I may be able to provide combined treatments, including psychotherapy and/or medication treatments. Alternatively, we may pursue split treatment, in which I would provide psychiatric medications, and therapy will be provided by another clinician. Psychiatric medication is a treatment modality only medical doctors (M.D. or D.O. ), nurse practitioner, or physician assistant’s (NP/PA’s) are licensed to deliver. In split treatment, I will, with your permission, pursue collaboration with your therapist, to provide you with the best care possible. Initially in treatment, I typically see patients at least weekly to build a relationship and achieve stabilization of the acute symptoms. Once stabilization has been achieved, we may space appointments further apart based on clinical need and shared decision-making. If symptoms do not abate after adequate trials of treatments, we may need to review the diagnosis, pursue a second opinion, or consider other treatment alternatives. At any time, if you are not satisfied with the care you receive, please inform me so I can better serve you.